These following newspaper cuttings are from the early part of last century. Edward Pye at the time use to do alot of press photography and these are some of the cuttings of his photographs.As far as I can tell most are from between 1910 - 1920.The top photograph is from the first world war,showing a party of sixteen wounded Belgium soldiers at 'Radeclyffe' the home of the late Mr. Garnett. 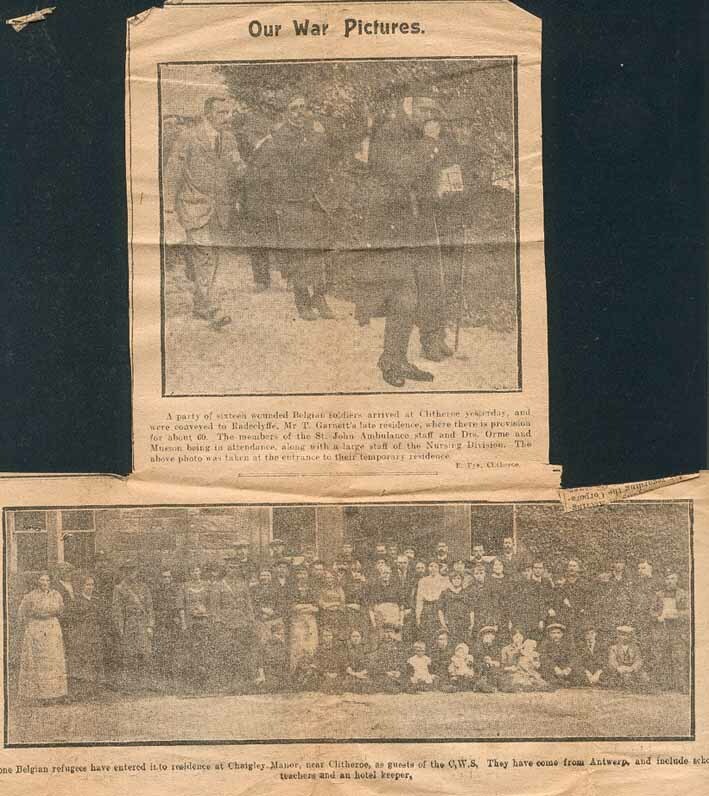 The bottom photograph shows 51 Belgium refugees at Chaigley Manor.Guest of the CWS. 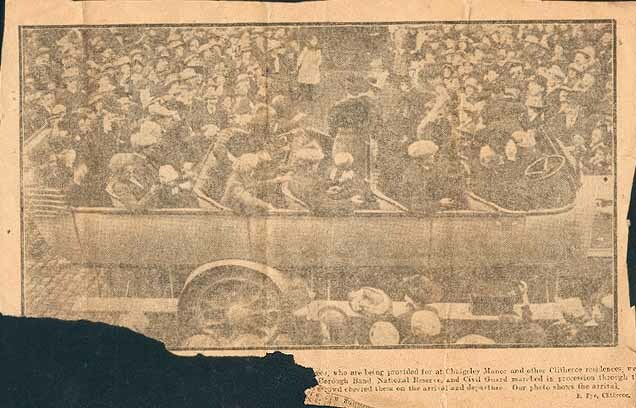 Again another photograph of some Belgium refugees being welcomed at Chaigley Manor.As far as I can make out it says they were very warmly welcomed by the Borough Band,National Reserve and the Civil Guard.